Unique-Desire: New Avengers Mini Series: Iron Man! All of my favorite movies are a part of The Avengers Tie in movies and I can't friggin wait for The Avengers to come out next month. I though to myself, "Hey, I have a whole month before the movie comes out...hmmm" So in light of The Avengers coming out I am going to be doing a mini series of looks inspired by each Avenger! :D This week is going to me Iron Man, my favorite. Tony Stark aka Iron Man(played by Robert Downy Jr.) is this really awesome play boy philanthropist who is rich and loves women. He inherited his father's Weapons company, Stark Weapons and is making bank from it. In the first Iron Man film(the best one), Tony gets kidnapped somewhere in the Middle East and finds out terrorist groups are using his weapons to harm people. 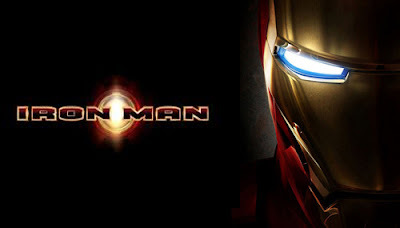 He has a change of heart in the cave after he realizes what is happening and he become Iron Man! At least a prototype xD Seriously, this movie is one of the best Avengers movie, you HAVE to watch it if you haven't! And even if you have go see it again! I got inspired by Pixiwoo's golden lips from this tutorial. Love this. So bold and in your face, just like Tony himself. Can't wait to see what you do for Thor & Black Widow! You look gorgeous! And I think this is SUCH A GOOD IDEA. I love superhero movies and I'm super excited for The Avengers to come out. Captain America has been my favorite so far. I own that one on DVD. I still need to see Thor and Iron Man. I'm really behind. But, I love this genre, so I'll be sure to catch up. These colors look amazing together. Love the look! Woo, very cool and bright! I love the blending in the crease. I'm really excited for the new Spiderman movie. Spiderman's my favourite superhero (as well as Daredevil), but I didn't like the Tobey Maguire movies at all. The second one was one of the worst films I've ever seen. >_< Hopefully Andrew Garfield'll be better. wowww this is amazzzing chicky! neat idea for a series too! Wow, these colours are so intense, fab look! Thank you! I can't wait to create the other looks! Thank you so much!! Captain America was a great film! I always get sad though when I think about how he wont be with his love anymore, I hope they speak on that in The Avengers. Thor and Iron Man are defiantly some of the better ones as well. My favorite is Thor because Chris Hemsworth is hot lol. Me too, I am SOOOO Excited! WOW! This is insanely awesome! The red in the crease really makes this look for me! YESSS! The trailer for this played during the previews for The Hunger Games and the entire audience cheered. I can't wait to see this and i love the idea of a series based on them. I LOVE the look you've made for this! The golden lips are a great touch. Keep that glitter coming! It really adds something.